Personal artwork, created as part of my 2019: a year in prints challenge. 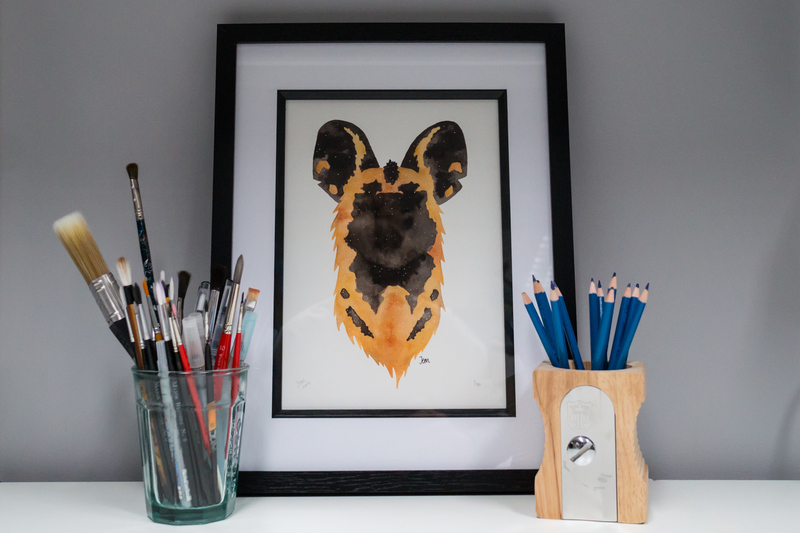 Ink and watercolour illustration of an African wild dog, reproduced as an A4 giclée fine art print (limited edition of 30) and A6 greetings card. African wild dogs are also called Painted Wolves because of their Latin name – Pictus Lycaon. Originally thought to be hyenas, they are the only living member of the genus Lycaon.